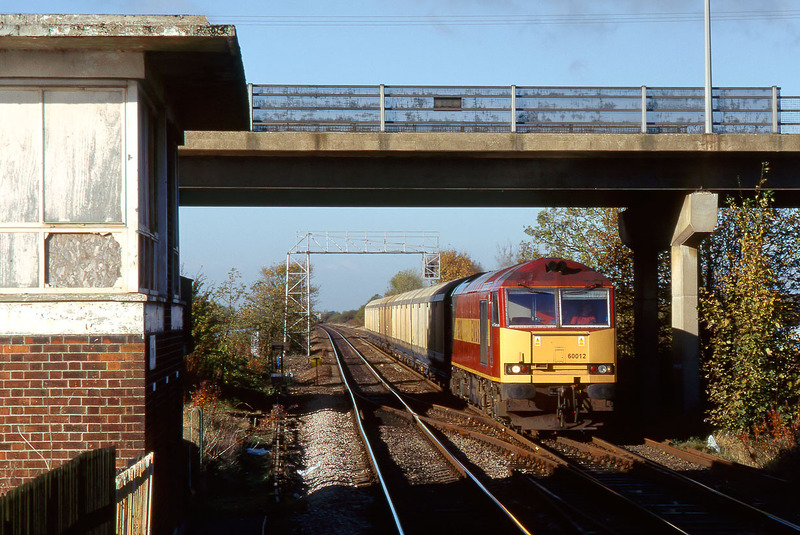 60012 passes underneath the A161 road bridge at Crowle on 28 October 2002 with the 6D93 08:08 Selby to Immingham empty Cargowagons. It is just about to pass the boarded up signal box. This was demolished a few years later.